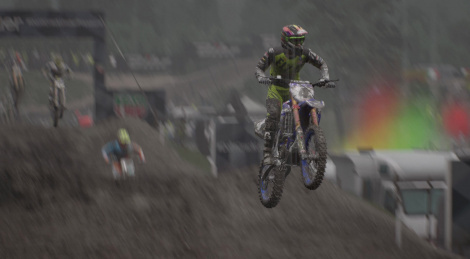 We found MXGP3 pretty fun on PC back when we played it a year ago, but the game was clearly meant for a wide audience. 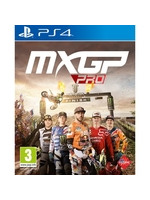 MXGP Pro seems to be a totally different matter as the handling seems quite hard to master, even in the standard physics mode. Our irreplaceable davton has found the game interesting so far, and you should know he used to practice motocross as a kid so he knows a thing or two about bikes. Before you can see him in action, I have prepared 3 videos showing lesser skills than his, but it's a start. We recorded the game on Xbox One X and we were a bit disappointed that there is no 60 fps mode. It is HDR compatible though. i find the tech in the most recent version if this series pretty good. the terrain deformation and lighting can result in some really real looking visuals. but i find the grounded nature of what the games are super boring. the monotonus whine of the engine, the simple tracks, the fact every rider is the same but with a different skin. i'd love for this developer to be given the freedom to make something more crazy. with boost and tricks and massive jumps but retain all the terrain deformation seen here. a new freekstyle basically. The lighting in this game looks very nice and natural.